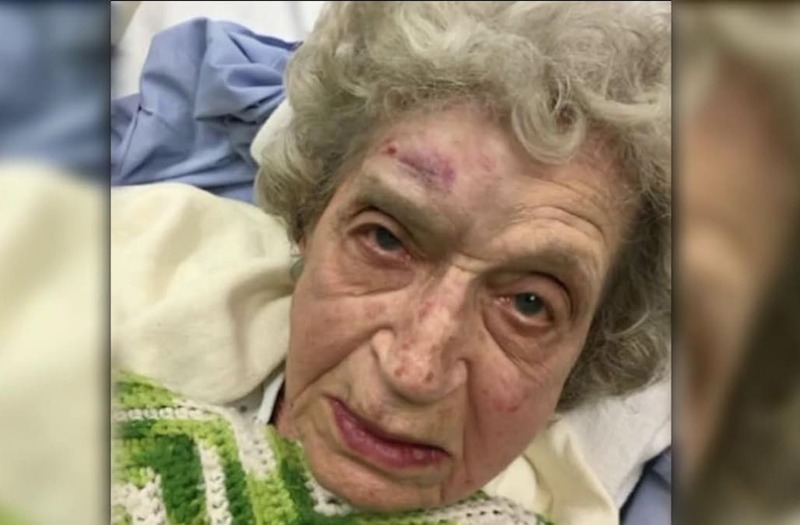 CHICAGO (WGN) – Police are searching for a suspect who attacked a 94-year-old woman on Chicago's Southwest Side. Josephine Regnier, a Navy veteran and grandmother, is in serious but stable condition after she was robbed and beaten inside her own home near South Long Ave and West 51st in the city's Garfield Ridge neighborhood. She was standing outside her home waiting for her daughter to pick her up for a dental appointment Wednesday, when it became too cold for her so she went back inside. A man followed her in the gangway and then into her home. He attacked her, grabbed her purse and fled into a stolen SUV. Surveillance video from a restaurant showed him crashing that SUV and then running off with her purse. The purse contained her ID, some paperwork and $50. Regneir suffered broken ribs, a concussion and a black eye and is healing slowly. Villa Rosa Pizza, where one of Regneir's children works, is offering a $5,000 reward for information about the suspect seen running with her purse.